3rd placer, DDS Football Club. 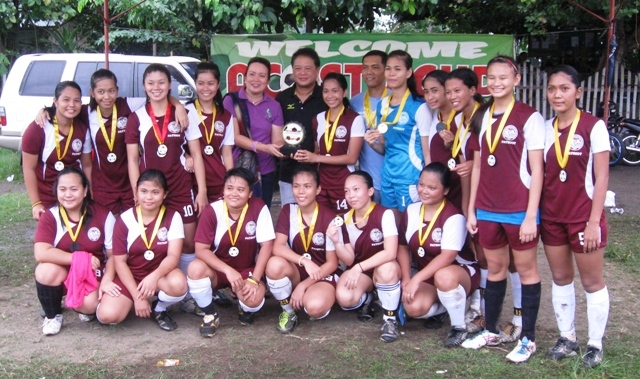 The champions, PWC with Mabel and Davao Football Association president Edward Lam (6th from left, standing). 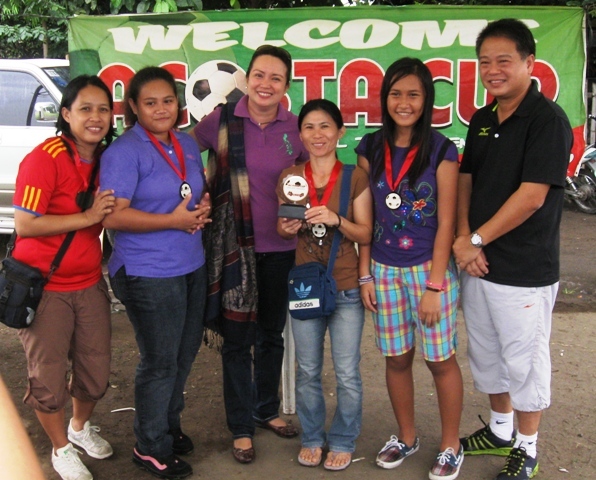 Davao City's No.1 councilor Mabel Sunga-Acosta has continued to support women's football development for the last 8 years. 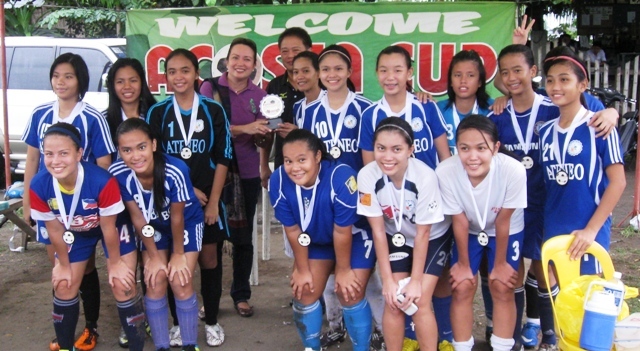 July Ann Bunac scored from a direct free kick (69th minute) just outside the penalty box to lift PWC over Ateneo Lady Knigths (1 – 0) to win the championship of the 8th Acosta Cup – Ladies Open Tournament. With just less than a minute left, the game would have gone into extension had not Bunac scored the goal. 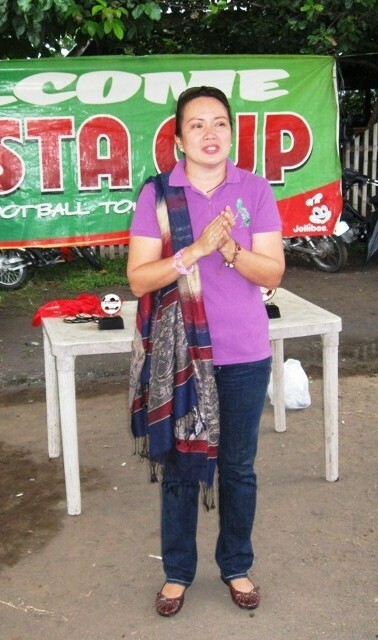 Ms. Mabel Sunga Acosta personally awarded the trophies and medals to the winners in the 8th year staging of the event. Assisting her are Davao FA president Edward Lam, and Davao FA board membes Rachelle de los Reyes, Janice Celestial, Michael Co, and general secretary Erwin Protacio. Third place went to DDS FC. Official Line-up of PWC: Analee Abadilla, Kimberly Joycee Adolfo, Nina Arrieta, Mariel Benitez, Almarie Buluran, July Ann Bunac, June Mae Bunac, Jerika Cantila, Sheena Casimiro, Lediren Dono, Lovely Rose Fajardo, Belai Fernando, Jennica Joycee Galvez, Alvin Rose Pardillo, Rozianne Rivera, Reylyn Tale, Jenny Tevar, and Cherry Vilchez, Coach is Mr. Alvic Troyo. The sponsors are Mabel Sunga Acosta, PHILSAGA, KTM Davao, Ducati Davao, DIMDI Center Inc., and Dr. Roy Ferrer. A journalist from Davao City, Island of Mindanao, Philippines who strongly believes that sports development is as basic as food, clothing, shelter and health care.